We have collected close to 200 signatures from voters across DUN Subang Jaya who are objecting to the proposed re-delineation exercise by Election Commission. From the bottom of my heart, thank you to all of them who took the time to come & sign the objection form. Please share. On behalf of the voters of N31 Subang Jaya & P104 Kelana Jaya, Wong Chen & I filed our objections at SPR Selangor this morning against the proposed redelineation plans. Thank you to all voters who signed the forms at my office last week. Bersama DAP Selangor membantah persempadanan semula SPR di Shah Alam pada pagi tadi. 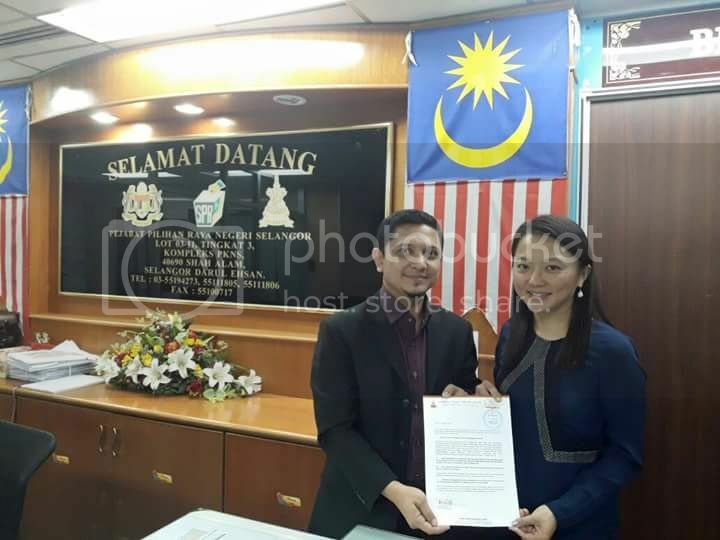 Jika SPR berjaya, DUN Subang Jaya akan menjadi DUN yang paling besar di Selangor dengan 66,059 pengundi (4 kali lebih besar daripada DUN paling kecil dan hampir 2 kali ganda lebih besar daripada kerusi Parlimen Sabak Bernam)!! The Coalition for Free and Fair Elections (BERSIH 2.0) is looking for voters in Selangor to sign objections to unfair redelineation within the state by 10 February 2018. BERSIH needs 1000 objection submissions, and *each submission needs to be accompanied by 100 signatures* of voters in Selangor according to the 2016 electoral roll (when the redelineation process began). Monday to Friday 10am to 5pm to sign the objection forms. For more information, go to dart.bersih.org. Please share.